When in 1993 Aidan Nichols revived the long-dormant idea of an Anglican Uniate Church, united with the See of Peter but not absorbed, the reaction of many was incredulity. The ideal of modern Ecumenism was, surely, the corporate reunification of entire Communions. This he roundly declared to be unrealistic, for the Protestant and Liberal elements in Anglican history (and Anglicanism's present reality) could never be digested by Roman stomachs. What was feasible was, rather, the reconciliation of a select body Catholic enough to be united, and Anglican enough not to be absorbed. Just over a dozen years later Pope Benedict XVI, responding to the petitions of various Anglican bishops, promulgated the Apostolic Constitution Apostolorum coetibus and the deed was done. The three 'Ordinariates' now established for 'Catholics of the Anglican Patrimony' in Britain, Australia and North America have been described as the first tangible fruit of Catholic Ecumenism. 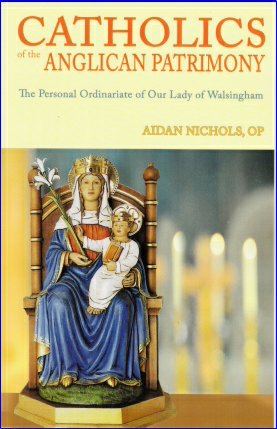 In this short book Nichols reflects on the historical, theological, and liturgical issues involved. He also shows the congruence of the new development with Benedict's wider thinking, and outlines a specific missionary vocation for reconciled Anglicans in England.